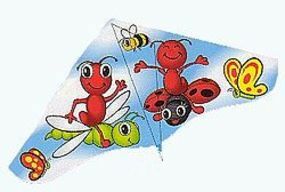 Shop online for 31 animals / insects kites at discounts up to 30%. 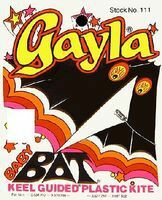 Gayla Industries is ranked #1 out of 3 animals / insects kites manufacturers, followed by Premier Racing, and Skydog Kites. 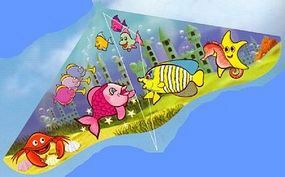 This is the 48" Tropical Fish Nylon Stunt Kite from Gayla. Suitable for Ages 8 & Older. 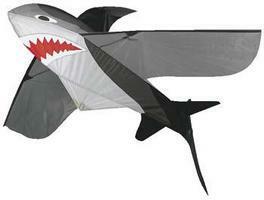 This is the 46" Shark 3-D Kite from Gayla. Suitable for Ages 8 & Older. 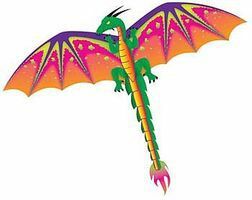 This is the 55x24 Osprey Bird Wing Flapper Kite by Gayla Industries. This is the 52x28 Clown Fish Designer Delta Kite by Gayla Industries. This is the 3D Blue Marlin 48 Nylon by Gayla Industries. This is the 48" 3D Multi-Color Butterfly Kite from Gayla. Suitable for Ages 9 & Older. 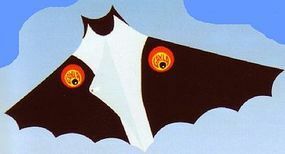 This is the Dolphin 72" Kite Super Value Kite by Gayla Parental guidance recommended when flown by children 8 yrs and younger. This is the 55x42 Clown Fish Delta Nylon Kite by Gayla Industries.